Sri Ram Bhawan is budget guest house/hotel in Haridwar. Sri Ram Bhawan Guest house is centrally located with views of Mansa devi temple, Chandi Devi Temple, Neel Kanth and Holy Ganga river from terrace. 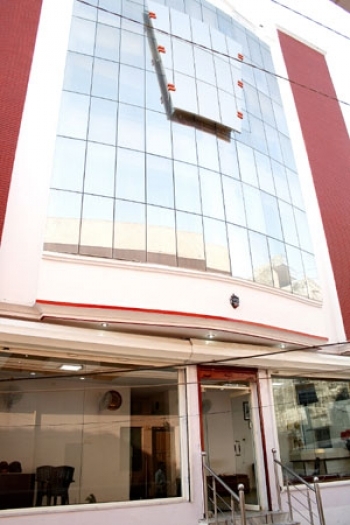 Sri Ram guest house is located 1/2 kms from Railway station and walking distance from Haridwar Bus stand. Fro Dehradun Jolly Grant Airport it takes 45 minutes drive to reach Sri Ram Guest House. 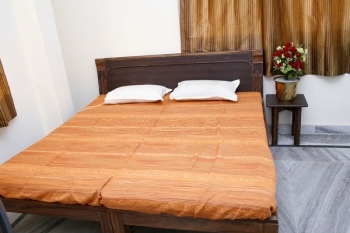 There are total 22 rooms with modern facilities in this budget Sri Ram Bhawan Guest house.